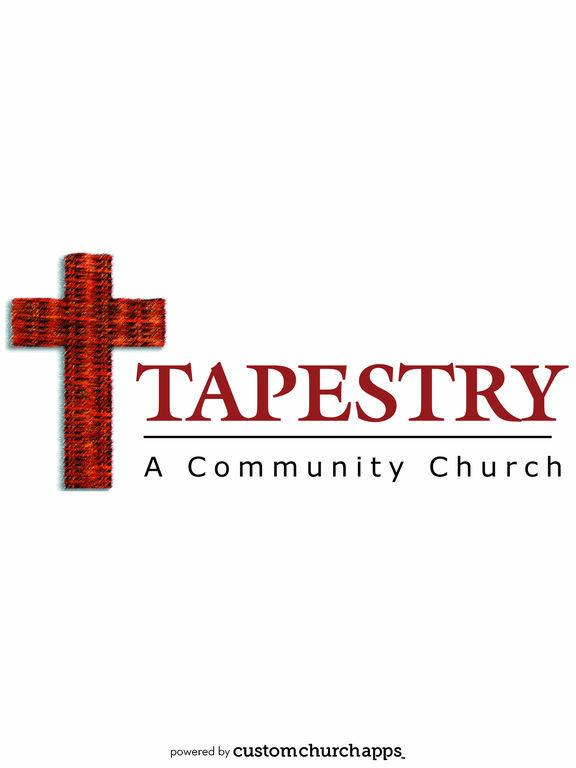 Tapestry is a Christ-centered and biblically based church. 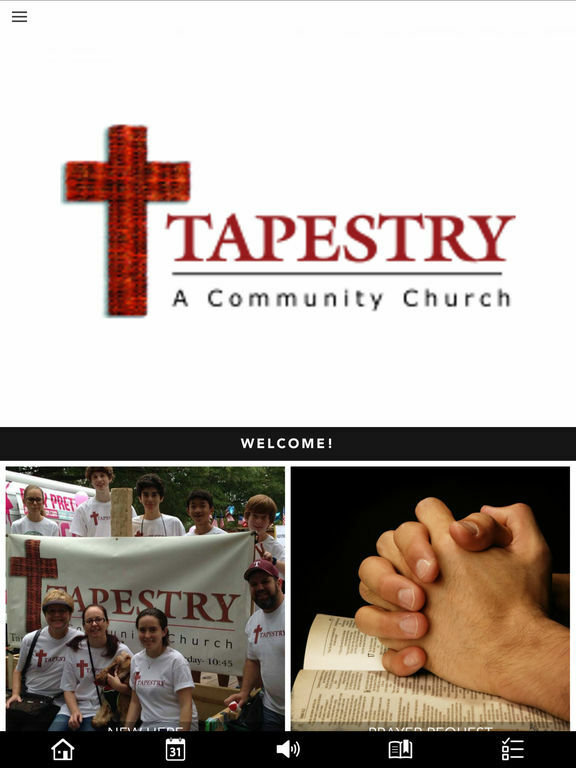 Our vision is “To weave Christ into the fabric of the community, one heart and one life at a time.”. We are a relational church with a relevant biblical message and outstanding contemporary worship. A neighborhood church where you can build relationships and do life together as the community of Christ. Our size and our people are our greatest assets. Services are Sunday mornings at 11:00am. We hope to see you then! * Cloud Based Journal: Your Pursue Journal is accessible online anytime at www.PursueJournal.com. This allows you to be able to add entries anywhere, anytime and they are automatically linked to your Tapestry Community Church app.